Inicio » Sin categorizar » MAKING THE MOST OF MALAGA! A great destination for all the family! MAKING THE MOST OF MALAGA! A great destination for all the family! If you don´t know what to see in Malaga, on southern Spain’s Costa del Sol, you have to know that it is famous for its beaches, hotels and resorts but standing guard over all that are the city’s ancient and imposing castles, the Alcazaba and Gibralfaro which is in ruins, both stand as reminders of Malaga’s long and fascinating history. Malaga enjoys some of the warmest winters in Europe, with average temperatures of 17.2C in winter. It’s location on the Mediterranean and being shielded by the Montes de Malaga, which defend against cooler weather from the north, all help to provide Malaga a wonderful year round climate. 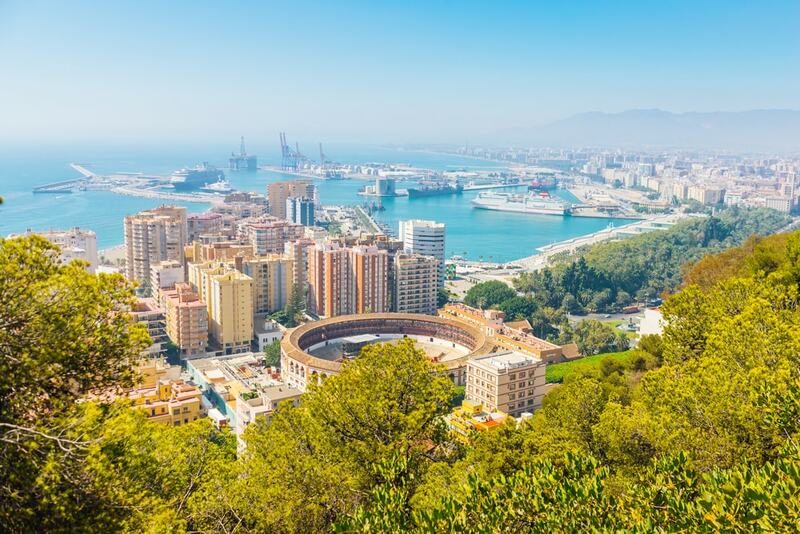 with almost three thousand years of history Malaga is one of the oldest cities in the world and was founded in the seventh century by the Phoenicians, who named the place Malaca which comes from the word Malac – to salt. These days Malaga is a modern and thriving tourist friendly city, take a few days and check it out for yourself. Here’s a few ideas for you. What to see in Malaga? Built on the site of a former mosque in the 16th century the impressive cathedral boasts a 40 metre domed ceiling and outside are the best panoramic views of the city. Inside, the huge colonnaded nave and a very big cedar-wood choir are well worth looking around as are the aisles which lead to 15 chapels where you’ll find wonderful 18th-century religious art. If you’re feeling energetic why not take on the 200 steps that will take you to the top of the tower for those amazing panoramic views -all the way to the coast. Prices start from 5€ and it is open every day (for visits) except Sunday. Built in 1918 to pander to Malaga’s rich and elite this place is experiencing something of a renaissance and has become, once again, a popular place for events and meeting socially. Sitting outside on a warm evening and sampling some of the local cuisine has to be one of those special treats that you give yourself while in Malaga. Inside, the dining room, the former ballroom, still bears reminders and an ambiance of those glorious early days. For entertainment there is always live music on Saturdays and on Sundays an Organic Produce & Craft Market. Something different but unique in this wonderful city. Open every day El Balneario is not expensive either with a main course costing between eight and fifteen euros. Again something little different when visiting Malaga is the Centre Pompidou which opened its doors for the first time in 2015. An extension of the famous Paris Pompidou Centre is located in a contemporary and colourful building and is host to works by modern masters such as Frida Kahlo, Francis Bacon and Antoni Tàpies. Not a bad place for the kids either as there are some interactive items including audiovisual displays and talking ‘heads’. Open every day (except Tuesdays) prices start at 7€. And if you are wondering what to see in Malaga if you go with kids, the castle is a wonderful playground for the youngsters with plenty for them to get involved with but how about a bit of interactive science to keep them occupied, and learning, as you explore the Centro de Ciencia Principia. This interactive science museum is an interesting, enjoyable and fun way for kids to discover science. With two separate rooms housing interactive exhibits that explain, in simpler terms, science and technology. There’s also a planetarium and an observatory. It is open from Monday to Friday 9.30am to 2pm and 5pm to 8pm and on Saturdays from 10am to 2pm. Entry prices is just 3€. Beaches in Malaga are extremely family friendly, and with lots of clean beaches that are flat and with small waves, they are an ideal place to spend the day with the kids. There’s also lots to do too with kids’ playgrounds, beach chair and pedal boat rentals showers to clean the little ones after and of course restaurants and snack bars. Playa de la Malagueta is the nearest beach to the city. ¿Do you like our proposals about what to see in Malaga? Goldcar, with over 80 offices in Spain, and a market leader in holiday car hire offer promotions and great prices for your holiday car rental. Book online at www.goldcar.com and check get the very best prices and enjoy your holiday more by hiring a car from of the newest fleets in the industry. Do you want to know what to see in Malaga? If you are gonna visit it but you are not sure what activities you can do there, we give some ideas. DON’T MISS OUT IN BARCELONA!